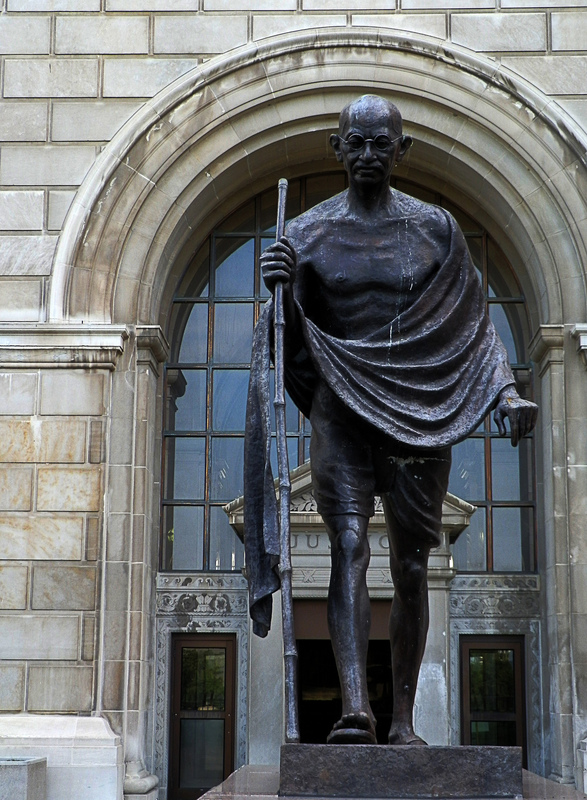 Scholars have described Asian Indian immigration to America as the “quiet migration.” Asian Indians began arriving in Milwaukee after the passage of the 1965 Immigration and Nationality Act. Asian Indian immigrants usually possessed advanced degrees and became professionals and entrepreneurs after settling in Milwaukee. Milwaukee and Waukesha became home to many of these immigrants due to the high number of universities, hospitals, and technological firms. Possessing such skills allowed Asian Indian immigrants to find great professional success in Milwaukee. Hindus, Muslims, and Sikhs make up the majority of Asian Indian immigrants. They came primarily from India, but also from Pakistan and Bangladesh. Nearly half of all Asian Indians in Wisconsin have earned a graduate degree. After a decade of only minimal growth in the 1980s, the number of Asian Indian immigrants in metropolitan Milwaukee has grown substantially in the decades that followed. Approximately 16,000 people identify themselves as Asian Indian in metropolitan Milwaukee in the early 21st century. Due to their high levels of education, in the late 20th century, the proportion of Asian Indians in Milwaukee County working in “Professional, Technical, and Scientific” fields is three times higher than the average for all Milwaukee County residents. Another 15 percent of Asian Indians work in retail, frequently in gas stations. In addition to their involvement in many other businesses, Sikh Indians own and operate more than 300 gas stations in Milwaukee. Asian Indians have also opened Indian restaurants. 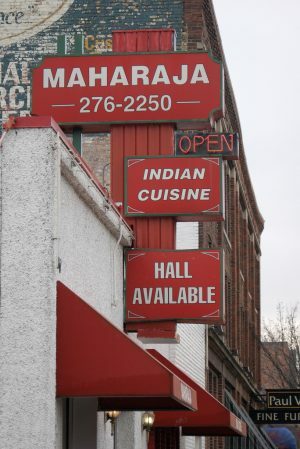 One of the earliest, opened by Balbir Singh in 1997 on Milwaukee’s East Side, is Maharaja. Balvir Bhela and Surjit Singh opened Jewel of India in 2004 in downtown Milwaukee; it eventually closed and was replaced by Taj Mahal in Hales Corners. The Tandoor restaurant is in West Allis. Due to their employment circumstances, Asian Indians ranked above all other Asian immigrants when it came to median income levels. Prominent Asian Indian entrepreneurs in Milwaukee County include Kailas Rao, who got his start as the owner of several computer stores, and developer Vincent Kuttemperoor. In the first couple decades after Asian Indian immigrants arrived, they relied on their families for support. As many as twenty to twenty five Asian Indian families also met informally to discuss religious matters due to the limited number of Hindu and Muslim institutions in Milwaukee. Asian Indians and other followers of the Hindu faith usually conducted services in other churches, hiring priests from temples located in Illinois. In the mid-1990s, the Hindu Temple of Wisconsin was formed as a nonprofit corporation. It purchased 22 acres in Pewaukee for a Hindu Temple that was completed in 2000. While the Hindu Temple welcomed Asian Indians from all regions of India, various subgroups formed their own religious and cultural centers. In Brookfield, the Bengali Cultural Society of Milwaukee holds several events in honor of Bengali gods and goddesses. In 2005, the Tamils created their own organization, known as the Greater Milwaukee Tamil Sangam. Asian Indian Sikhs also constructed their own temple. Like the Hindus, the Sikh Temple of Wisconsin, which formed in 1997, involved small gatherings in rented community centers, primarily on Milwaukee’s South Side. In 1999, the Sikh Temple opened its own center on 441 East Lincoln Avenue. As the congregation grew, the Sikh Temple began construction on a new temple in Oak Creek, which opened in 2007. ^ John Radzilowski, “Late-Twentieth-Century Immigration,” The American Midwest: An Interpretive Encyclopedia, eds. Richard Sisson, Christina Zacher, and Andrew R.L. Cayton (Bloomington, IN: Indiana University Press, 2007), 250. ^ Kazimierz J. Zaniewski and Carol J. Rosen, The Atlas of Ethnic Diversity in Wisconsin (Madison, WI: University of Wisconsin Press, 1998), 12; Joseph A. Rodriguez and Mark Shelley, “Latinos and Asians in Milwaukee,” in Perspectives on Milwaukee’s Past, eds. Margo Anderson and Victor Greene (Urbana, IL: University of Illinois Press, 2009), 180; Data tabulated from 2014 American Community Survey estimates available Steven Ruggles, Katie Genadek, Ronald Goeken, Josiah Grover, and Matthew Sobek. Integrated Public Use Microdata Series: Version 6.0 [Machine-readable database]. Minneapolis: University of Minnesota, 2015, www.ipums.org. ^ Rodriguez and Shelley, “Latinos and Asians in Milwaukee,” 180-181; “Wisconsin Immigrant Entrepreneurs, Innovation, and Welcoming Initiatives in the Badger State,” Immigration Policy Center website, http://www.immigrationpolicy.org/just-facts/wisconsin-immigrant-entrepreneurs-innovation-and-welcoming-initiatives-badger-state, accessed on May 14, 2015, related information now available at “Fact Sheet: New Americans in Wisconsin,” https://www.americanimmigrationcouncil.org/research/new-americans-wisconsin, accessed June 12, 2017; “Our History,” Maharaja website, accessed on May 20, 2015; “Taj Mahal,” Express Milwaukee website, accessed on May 16, 2015; Tandoor Indian Restaurant website, accessed on May 20, 2015. ^ George J. Parangimalil, “Asian Indians in Milwaukee and Integration” (Master’s thesis, Marquette University, 1987), 4-16. ^ “About Hindu Temple of Wisconsin,” Hindu Temple of Wisconsin website, accessed on May 16, 2015. ^ Bengali Cultural Society of Milwaukee website, accessed on May 16, 2015; “About Us,” Greater Milwaukee Tamil Sangam website, accessed on May 16, 2015. ^ “About Sikh Temple of Wisconsin,” Sikh Temple of Wisconsin website, accessed on May 16, 2015. Parangimalil, George J. “Asian Indians in Milwaukee and Integration.” Master’s thesis, Marquette University, 1987. Sisson, Richard, Christina Zacher, and Andrew R.L. Cayton, eds. The American Midwest: An Interpretive Encyclopedia. Bloomington, IN: Indiana University Press, 2007. Zaniewshi, Kazimierz J., and Carol J. Rosen. The Atlas of Ethnic Diversity in Wisconsin. Madison, WI: University of Wisconsin Press, 1998.